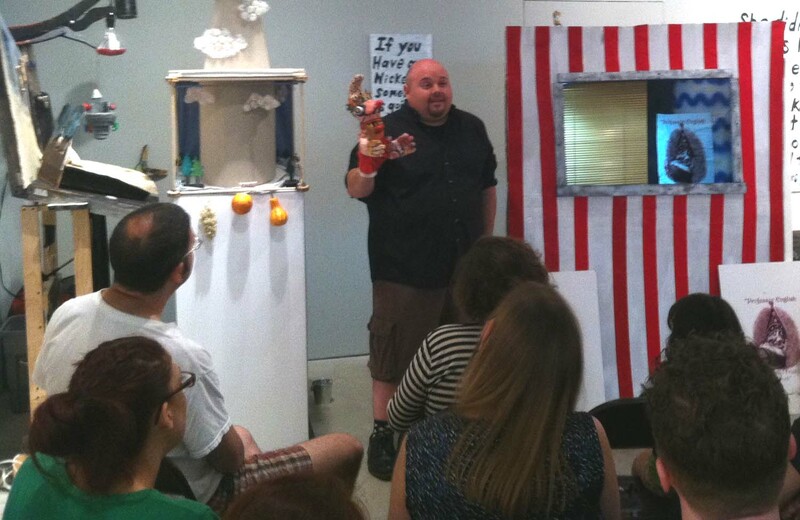 ← Puppet Slam at The Occasional Market / BYOP! 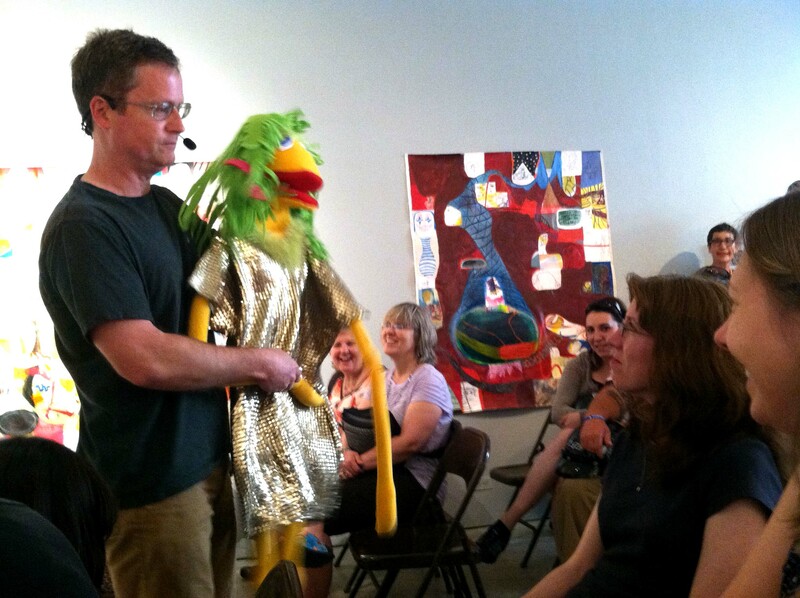 Bring Your Own Puppet! 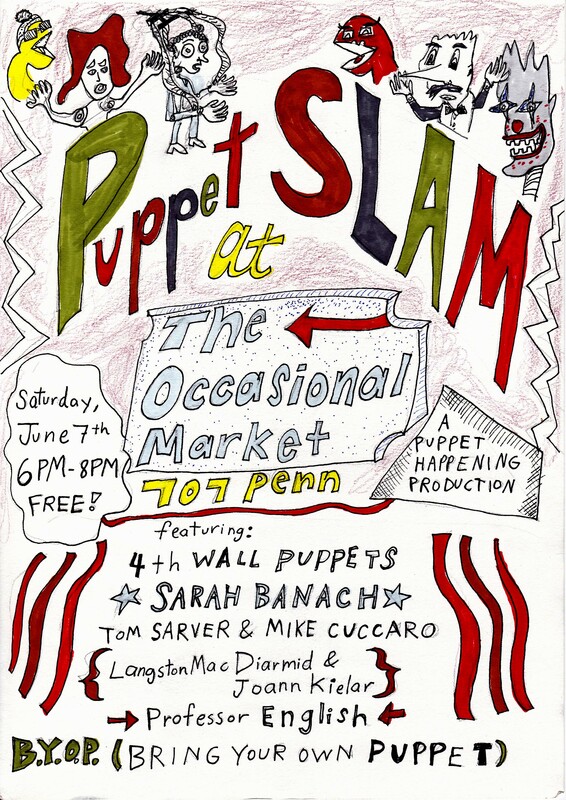 On June 7th, The Occasional Market was temporarily transformed into a performance venue for the Puppet Happening event, Puppet Slam, Bring Your Own Puppet! 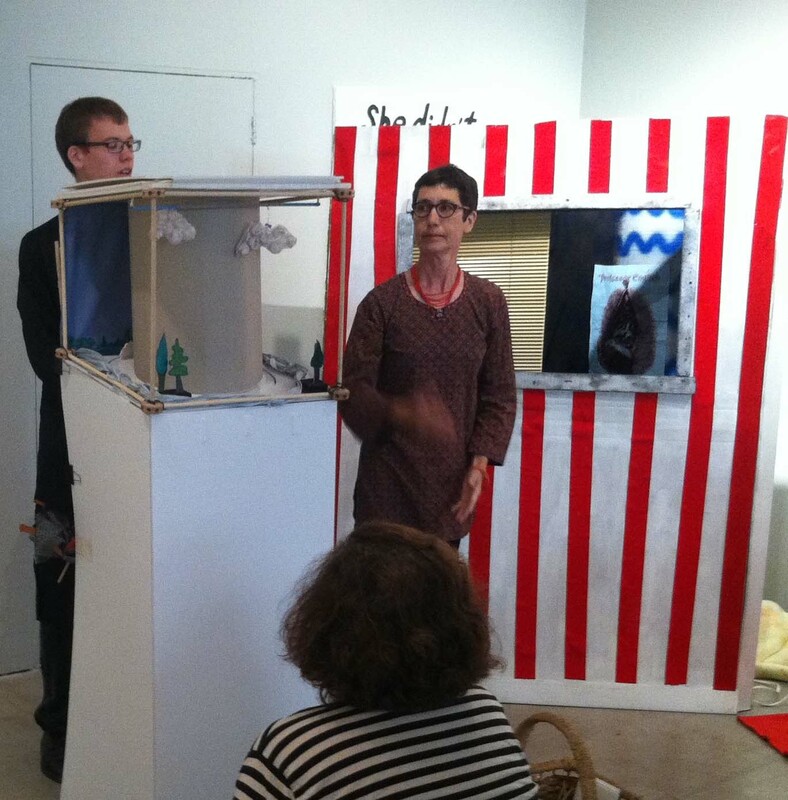 The free event featured performances by 4th Wall Puppets, Sarah Banach, Tom Sarver & Mike Cuccaro, Langston MacDiarmid & Joann Kielar, Professor English and Maggie Bogdanich.